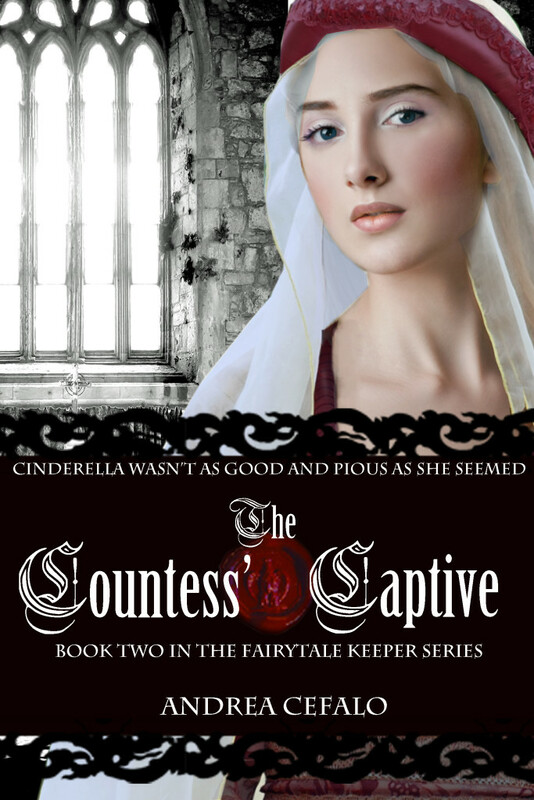 Please join Author Andrea Cefalo as she tours with HF Virtual Book Tours for The Countess' Captive Blog Tour, from March 23-April 16. Take The Countess' Captive Playbuzz quiz and enter to win a Fairytale Keeper Clutch Purse & $25 Amazon Gift Card! During March of 1248, Adelaide Schumacher-affectionately called Snow White-has lost so much: her mother, her possessions, and now her home. Adelaide hates abandoning her home city, her family’s legacy, and her first love?Ivo. More than anything, she hates her father growing closer to her mother’s cousin?Galadriel. Adelaide plots to end their tryst before her fate is sealed, and she never sets foot in Cologne again. But good and pious can only get Galadriel so far. Never again will she be destitute. Never again will she be known by the cruel moniker?Cinderella. Never again will someone take what is rightfully hers. No matter what it takes. The Countess’ Captive is the much anticipated follow-up to The Fairytale Keeper and is book two in The Fairytale Keeper series. The novel combines Grimm’s fairytale characters with real historical settings and events to create a tale that leaves the reader wondering where fact ends and fiction begins. Intro: Adelaide fumes as she sits in a carriage belonging to her Father’s mistress, Galadriel. Addie is angry at her Father, Ansel, the affair. Furious with the city’s archbishop for his corruption. And enraged by Galadriel’s usurping of her mother’s place. At Ansel’s commands they will leave the city she loves. But Ansel, furious at Adelaide’s disappearance the night before, has little sympathy for her. Passing clouds of smoke roll through Hay Market. By now, the flames smolder, lapping at the blackened, brittle skeleton of Cologne’s famous cathedral. Soon, nothing but cinders will be left of her. May the flakes of ash roll past the glass windows of our overreaching archbishop’s palace, so he can see them for what I hope they are: the remnants of his power flitting away like snowflakes on a frigid gust. Father and I wait in his harlot’s halted carriage in front of the White Stag, only a few blocks from the cathedral’s remains. I hold my sleeve to my nose to keep the ashes from my throat and close the shutters to keep the smoke from slithering in, but that confines the noxious cloud. Father shoves open the shutters, his deep–set eyes narrow at me. How long will it take him to forgive me? Truly, it is he who should seek forgiveness, not I. Sneaking out of my room worried him, and finding me in Ivo’s arms enraged him. But I did not betray him. Not like he betrayed Mama and me. The way I found Father and Galadriel, my mother’s cousin, ten days ago is etched on the back of my eyelids. Passing clouds of smoke roll through Hay Market. By now, the flames smolder, lapping at the blackened, brittle skeleton of Cologne's famous cathedral. Soon, nothing but cinders will be left of her. May the flakes of ash roll past the glass windows of our overreaching archbishop's palace, so he can see them for what I hope they are: the remnants of his power flitting away like snowflakes on a frigid dust. But it isn't really murder, is it? I didn't' really know what was in that mug, so it couldn't be murder. Besides, if she intended to poison me, and in turn I accidentally poisoned her, she'd by getting what she deserved. Really I would be defending myself, and Father, from a mad woman. This is another win for author Andrea Cefalo! She has taken the fairy tale Cinderella in this second installment and weaved in her well done changes with exciting details and well developed characters. We start off right where we left off, with Adelaide and her father leaving Colgne. Adelaide is trying everything she can to change her father's mind because she thinks this is the worst possible thing that her father can do. Imagine your mother dying and only one month later your father is involved with another woman. You'd be just as irate as Adelaide is. But alas, it doesn't matter the three end up leaving to go to Galadriel's home. This fairy tale story is entertaining, well thought out and worth a read. I found myself staying up extra late to read "just one more chapter." You know how that goes if you are a reader like myself. I just love this authors work. I am holding my breath for the next novel in this magnificent series. Will Adelaide be able to see her love Ivo again any time soon? Not if Galadriel gets her way. She is out to mess up Adelaide's life and it seems things just keep getting worse and worse for this poor little girl. The bright spot is that she has a few happy moments once she is in Galadriel's house but are they enough to keep her there or will she disrespect her father and run away? Such a fast paced and fun read, this should be on the top of your to be read pile. Of course,only after you read book one in this amazing series. 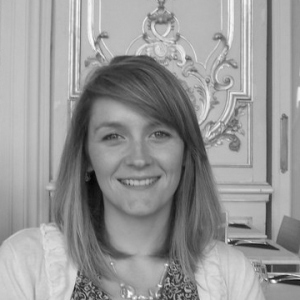 Andrea Cefalo is an award-winning author and blogger on Medieval Europe. The next three novels in The Fairytale Keeper series will debut in 2015 and 2016. She resides in Greenville, South Carolina with her husband and their two border collies. For more information please visit Andrea Cefalo's website. You can also find her on Facebook, Twitter, and Pinterest. 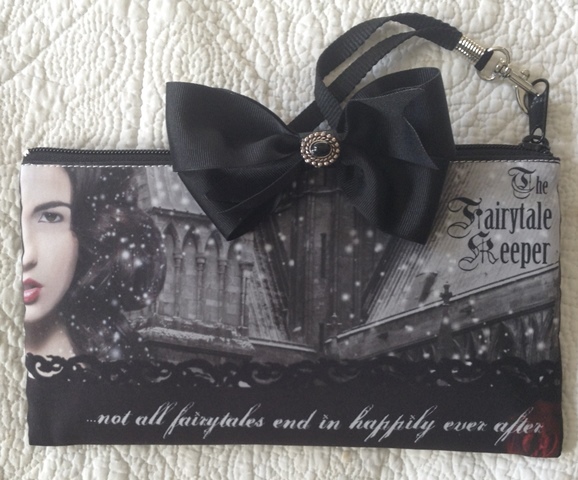 To enter to win a Fairy tale Keeper Clutch Purse & $25 Amazon Gift Card please complete the giveaway form below.